Bengal gram has low glycemic index and can be included under weight loss diet. 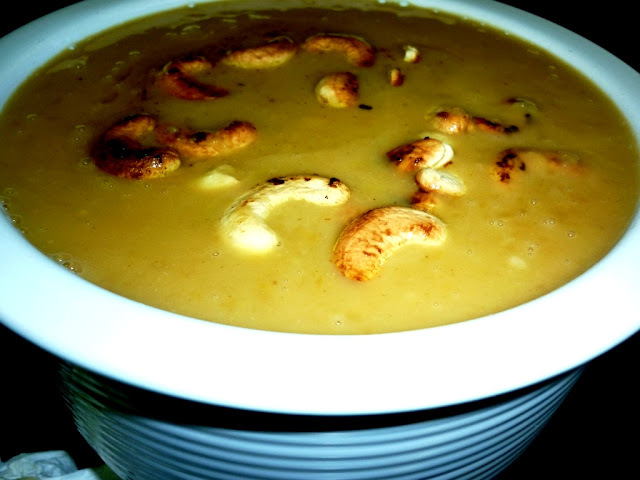 In that aspect,this recipe is a fresh option for those under weight loss regime.I am so happy to share this wonderful dessert from India. 1.Wash and soak split bengal gram seeds for 30 minutes. 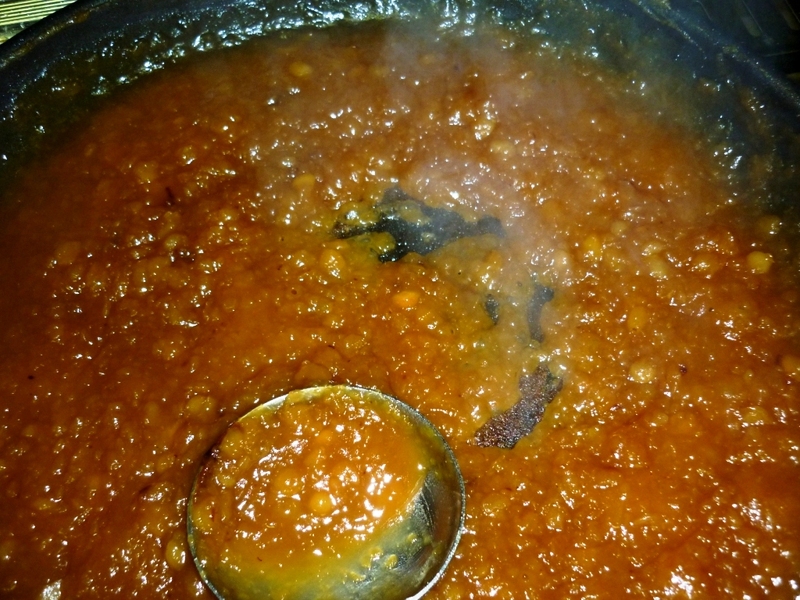 Cook it(split bengal gram(also called Chana dal in Hindi)) until its almost mushy.Use a pressure cooker for this. 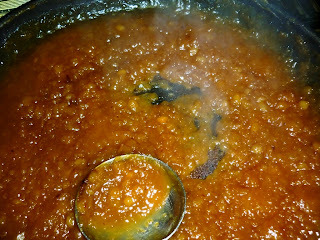 2.Now in a non stick pan,add the cooked bengal gram along with melted jaggery and stir until the mixture cooks well in jaggery and starts coming out from the pan. Once it's ready,the texture will be like the one in the picture below. Now add in 1 cup of low fat milk and mix well. When the mixture turns almost dry,pour in 3 cups of thin coconut milk. Add in 2 tsp cumin powder. Cook until the milk gets thickened.Switch off the fire. 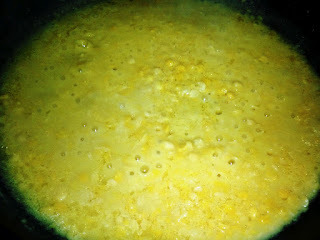 Finally,pour 1/2 cup very thick coconut milk .Very delicious,thick pudding is ready. In 1 tsp ghee,fry cashew nuts and raisins.Pour this on top of the pudding.Serve chilled .